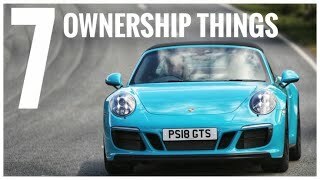 Porsche experimented a lot with its models, after release of 911 the S and GTS came with redesign and modified performance specs. Though predictable but each of them made a remarkable place in the automotive market. However in the extensive list, benchmark entered at the 2015 Detroit Auto Show with unveil of Porsche 911 Targa 4 GTS. 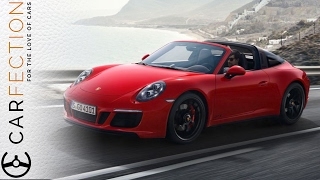 Just like its name the model brings with it classic Targa features hiding beneath it a powerful engine. Now the buyers can relish the roofline and get enthralled with power of coupe with an open air experience. Let’s check what more it has with it. The interior of Porsche 911 Targa 4 GTS 2016 is very much look-alike to several 911 models. However a few touches and the standard sport chrono package make it glorifying. Interior holds a minute blend of red and black with it leaving marks in the instrument cluster. Package includes sport plus seats with headrests portraying GTS logos and also included is a stopwatch positioned at top center of dashboard. As mentioned earlier the red minute additions are blended over the soft and light weight black Alcantara. In all interior is serene with sporty touch and comfortable enough for a ferocious long ride. 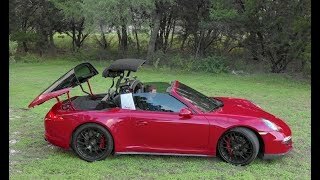 The exterior of Porsche 911 Targa 4 GTS 2016 rarely gets any modification but it keeps the attraction with the matte black 20” alloy wheels featuring center lock. The sporty nose above the black air intakes looks aggressive while the logos around the 911 Targa 4 GTS makes it sportier and catchy. Adding more to the looks enters distinct roofline and stowable roof panel accompanied by Porsche’s signature silver rollover protection bar and yes the broader Rear fenders holds the same power to catch eyeballs on streets and people you cross while riding this model. 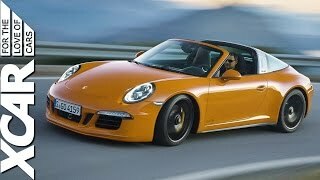 Porsche 911 Targa 4 GTS 2016 comes with a 3.8 liter boxer engine producing 430 HP and 440 nm torque paired to seven-speed manual transmission and PDK dual-clutch automatic transmission. The PDK transmission enables you to reach a top speed 186 mph and can cover the 0-62 mph in just 4.3 seconds.